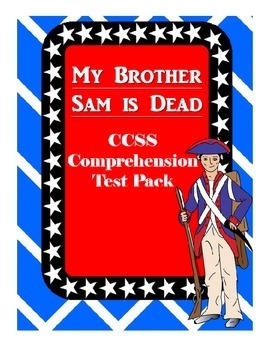 This pack contains weekly tests that correlate with the following assigned reading pages/chapters of My Brother Sam is Dead: Chapters 1-3, Chapters 4-6, Chapters 7-9, Chapters 10-12, and Chapters 13-Epilogue. 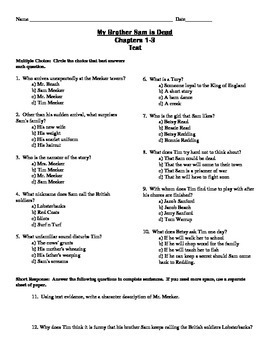 The test questions are in multiple choice and extended/short response formats. 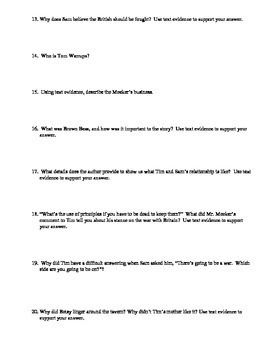 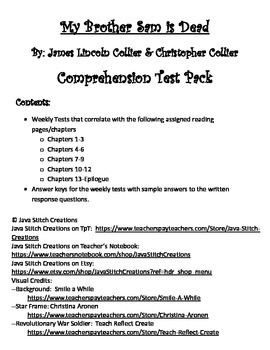 Purchase also includes answer keys for the weekly tests, along with sample answers to the written response questions.